As citizens from around the world deeply concerned with the massive violation of our privacy, we call on you to grant asylum to whistleblower Edward Snowden. 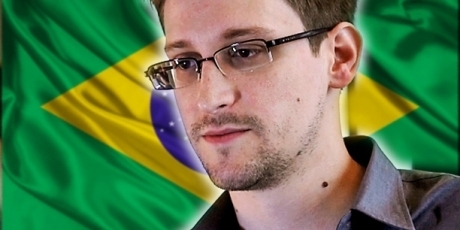 As the leader of a global movement for internet freedom and privacy, Brazil is the perfect home for a man who sacrificed his life to disclose invasive and illegal US spying. Edward Snowden left his whole life behind when he revealed that spies are stalking us all across the internet. Now, alone and forgotten, he’s stuck in the middle of the Russian winter. But we have a chance to rescue him and give him a warm welcome in Brazil. Time is running out on Edward’s one-year visa. Sharks are circling to drag him back to the US where he is unlikely to face a fair trial, but Brazil’s president Dilma offers a warm ray of hope. She hates mega spy programme PRISM, has already stood up to Obama and is working to safeguard her people from spying. Dilma likely wants to support Snowden, but she's up against steep US pressure and fear from within her own party. We have the power to help Dilma do the right thing. To buy time, Brazil has asked for a formal application from Edward -- something he can't do right now without threatening his status in Russia. But we can apply for him! For every Avaaz member who signs this petition, we’ll deliver a citizen affidavit of support directly to the Federal Police and the Ministry of Justice in Brazil — creating the biggest citizen driven asylum claim ever. Sign now, and be part of history.